Set in the heart of the New Forest just one mile from Junction 1 (M27), Bramshaw Golf Club is home to two completely contrasting 18-hole courses including Hampshire’s oldest golf course, The Forest Course. The par 69, 5,752 yard, Forest Course, falls within the confines of the New Forest National Park where cattle and ponies have the right to roam. Constructed using the natural contours and open heathland, this course plays like an inland links course. 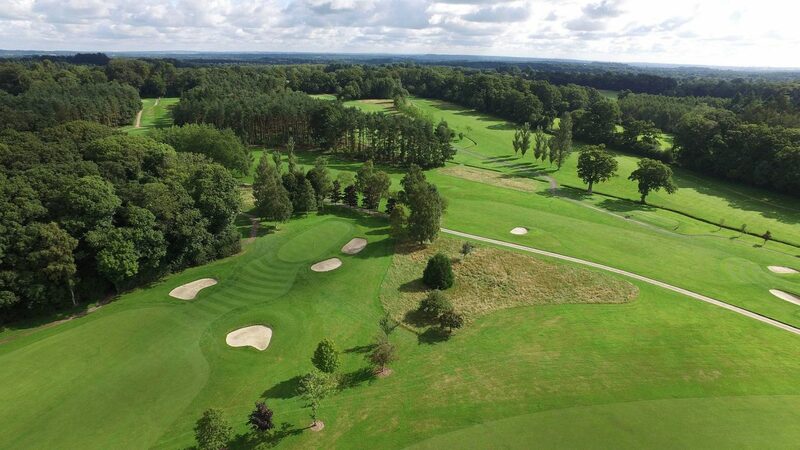 In contrast, with over 40 years under its belt the par 71, 6,400 yard, Manor Course, has matured into a fine parkland layout featuring a significant number of tight, tree-lined holes, making this a challenging course for all handicap levels. With the option to play two courses, Bramshaw is a no-brainer for Societies. Offering significant flexibility to suit any budget, bookings can include golf only (18 holes) or a full golf day (36 holes) with food options. With just a minimum of 12 players, societies should take advantage of the very reasonable green fees: £37.50 – Manor Course, £25 – Forest Course (including bacon rolls and coffee/tea). Under the same ownership as the golf club, resides the 18th century coaching Inn – The Bell Inn – where an overnight stay is all but essential for the visiting golfer! With two courses to play, and lots of other things to see and do in the area and with The Bell Inn providing the perfect place in which to hole up between rounds, a round on either or both of these unique courses will linger long in your memory. Other packages are available. Please contact the club for more information. entrance to our shared car park is just after the hotel. clubhouse directly in front of you. bedrooms all with modern amenities. Please visit www.bellinn-newforest.co.uk for more information.